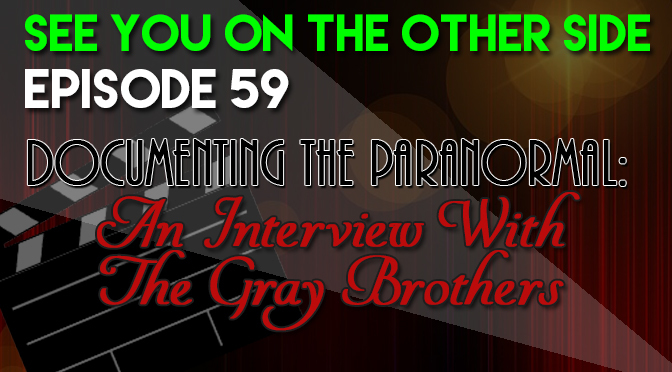 Adam and Drew Gray are Canadian filmmakers who have approached documenting the paranormal with a scientific eye and an open mind. Allison from Milwaukee Ghosts first introduced me to their work through a documentary called The Nightmare. They went around the world to film The Nightmare (which you can watch in its entirety on Amazon Prime), from Japan to California to Newfoundland to Africa in their research for the worldwide phenomena of the legends behind sleep paralysis and Sudden Unexpected Nocturnal Death Syndrome, a condition that causes people to die in their sleep mysteriously. First noticed in the Hmong refugees in the United States after the Vietnam War, it’s something that Asians have been especially susceptible to this syndrome, with 230 Thai men, often young and otherwise healthy, succumbing to it in between 1982 and 1990. Whether it’s the Newfoundland “Old Hag” or the Hmong dab tsuam (pronounced “da cho”), these midnight visitors have been reported all over the world. Whether or not, it’s an evil spirit or just the imaginations of afflicted working against them, these nightmares can sometimes have deadly consequences. The success of The Nightmare led the brothers to be commissioned for a Canadian paranormal series called Supernatural Investigator, where they explored other topics like the Betty and Barney Hill abduction case (that we talked about in our hypnotic regression episode) and remote viewing. Remote viewing is also known as clairvoyance (French for “clear vision”) where people can see things far away psychically (something the United States military even tried to exploit during the Cold War, most famously parodied in The Men Who Stare At Goats) They went to a remote viewing training camp in Las Vegas and had some very interesting results. After documenting the paranormal for years, they’ve made their way to true crime and their last documentary, Fly Colt Fly, is about Colton Harris-Moore, the “Barefoot Bandit“, whose colorful exploits in stealing planes and boats as just a kid in the American Northwest in the late 2000s made him a folk hero to some people. Currently, you can see their latest film on HBO Canada. 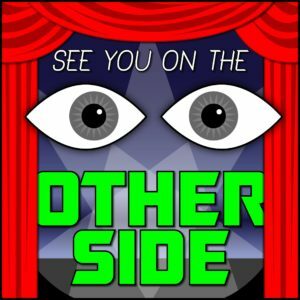 The song for this week’s episode is inspired by the Gray Brothers’ episode of Supernatural Investigator on Remote Viewing. It’s called “Tragedy (Of A Remote Viewer With A Broken Heart)”. I burned every little message and every little note. I let the cat rip up your side of the bed. Just loving some other guy to death. every second my heart is going to burst. And now this gift is nothing but a curse. Now you’re loving someone else to death. Please don’t call me for lunch cuz I don’t wanna see. Sometimes things get turned on that, can’t get turned off.